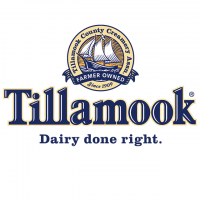 Founded in 1909 as a farmer-owned cooperative, the Tillamook County Creamery Association (TCCA) prides itself on its commitment to bringing to market the most consistent, best tasting, highest quality dairy products made in the most natural way possible. Guided by the belief that everyone deserves real food that makes them feel good every day, they have earned top awards for their cheese, ice cream, sour cream, butter and yogurt products made the Tillamook Way. For more information on Tillamook, visit Tillamook.com.